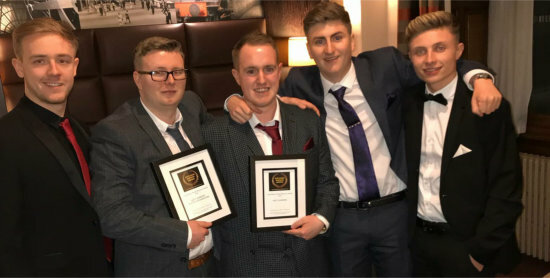 Our Carluke team are proud winners of the Lanarkshire 2018 Best Barbers Award in the Lanarkshire Retail Business Awards 2018. We would like to thank all our customers for their kind congratulations. We are your local NO APPOINTMENT NECESSARY barbers. We are also in Lanark, Hamilton, Wishaw and Bathgate. At Alan Forster Barbershops we are all dedicated to making your time an enjoyable and pleasurable experience. Whether you’re after a regular haircut or an express and efficient beard tidy we can cater to your hair and grooming needs. We offer precision cut & colouring, modern & traditional styles and male grooming packages including open razor & hot towel shaves – all at excellent prices! View each shop for individual pricing, opening hours and other details and offers.